Have you been told by your mother, wedding planner, and friends that you simply must save the top layer of your wedding cake, store it in your freezer, and eat it one year later on your anniversary? This tradition has been around for decades-but how did it begin? And, what are modern brides really doing with their decadent dessert a year from their “I do” day? Read on to help you decide if you should chow down on the cake, or chuck it! 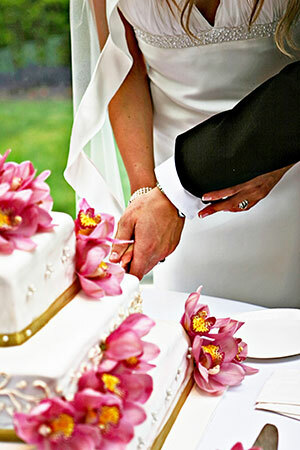 Saving the top layer of your wedding cake originated back in the 19th century. Long ago, the bottom layer of a three tier cake was for the reception, the middle layer was to give out to guests, and the top layer was used one year later at the christening of the couple’s first baby (“First comes love, then comes marriage, then comes the baby in the baby carriage!” Ring a bell?). These two traditions have long since parted ways and a modern wedding ceremony tradition has emerged. Couples now choose to share the cake with each other or with the ones they love to remind them of their first happy day as husband and wife. And, it doesn’t hurt to hope, wish or believe that this tradition will also bring you prosperity and a long future! The modern take on the old tradition is worth considering. If you believe in the fate of the cake, you will also have a beautiful reminiscence on your first anniversary. There is something ultra-romantic about savoring a slice of something that was cut for you on that most significant day in your life. Ask your caterer or reception venue to properly wrap it up (they do it on a weekly basis) the right way to ensure your dessert tastes nothing less than a little slice of heaven. Some couples don’t think twice about saving the top layer at all! They will chuck the wedding cake leftovers after the ceremony, stating it’s unimportant, they’re not superstitious or they just aren’t keen on the idea of snacking on a bite of freezer burn. 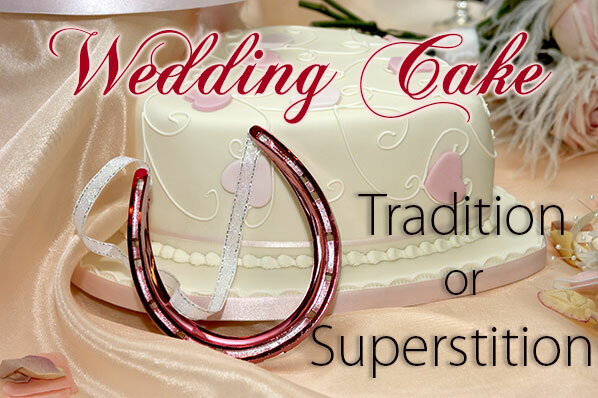 If you aren’t superstitious or don’t like to conform to tradition, pass on saving the cake and don’t think twice. If the idea of eating a thawed piece of cake which may no longer resemble the stunning centerpiece it once was leaves you feeling a bit nauseous, there is another option. Many top quality bakeries will offer to take a picture of your completed wedding cake in all its original glory and will then recreate it exactly – one year later at no charge. Ask your bakery if they offer this service. Your last piece of wedding cake should taste as fresh and fabulous as you remembered it. Whether you decide to chow down or chuck it, you probably won’t cast good luck or bad luck! But, one thing is for certain – your first year of marriage is certainly something to celebrate… so, eat your heart out!